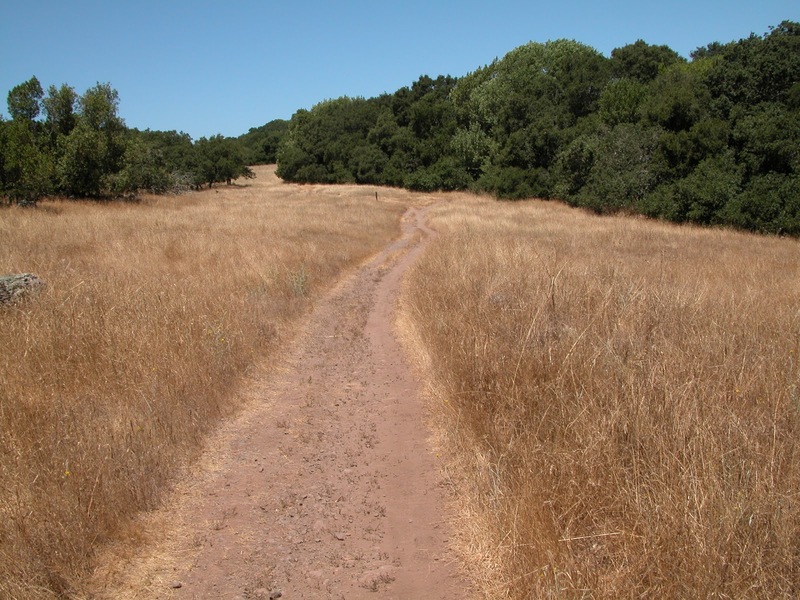 Explore an unusual volunteer-run park in the rugged hills east of Napa featuring trails through oak grassland and chaparral on this 5.8 mile loop. Enjoy summer in wine country! Loads of sunshine and butterflies and dragonflies everywhere. Lovely in spring before the grass turns golden; colorful oak and maples leaves in autumn. Drive your RV or little camping trailer to Skyline Wilderness and make it a budget-friendly weekend. Bring some bicycles and zip into Napa for dinner, or tour a few local wineries. Skyline Wilderness is hike number 17 in 60 Hikes in 60 Miles: San Francisco (third edition). Read about this hike on BAHiker. In summer I crave deep woods. Fall Creek offers an almost entirely shaded 7 mile loop near Felton. Look for historical displays along the trail explaining how limestone kilns were constructed in these canyons during the gold rush.